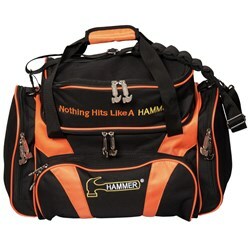 This bag has been made for the bowlers comfort and stability. It features a padded carry and shoulder strap,a padded inside to protect the balls, 3 large accessory pouches, and a vented shoe storage that holds up to men's size 15 shoes. Wow! Don't miss out on this awesome tote! A great stylish bag . Great look and very well made. Good heavy duty straps and zippers. 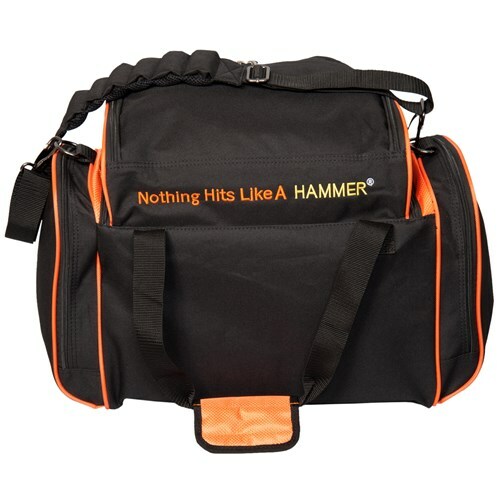 Excellent bag for extra balls. Outstanding bag. Nice craftsmanship in the 2 ball placement. All kinds of storage compartments. Had first bag by motiv by accident , stitching started to pull apart. Was sent hammer bag. Best bag I've ever owned!!! Would very much recommend this bag. Plenty of compartments. Stitching is beyond compare,also this was the original bag I ordered. Love it and am very happy. Shoulder scrap broke. Not strong enough for two balls. Hi Mulligan! There is a separator inside to separate them. Does this bag have wheels? Hello Shiri. 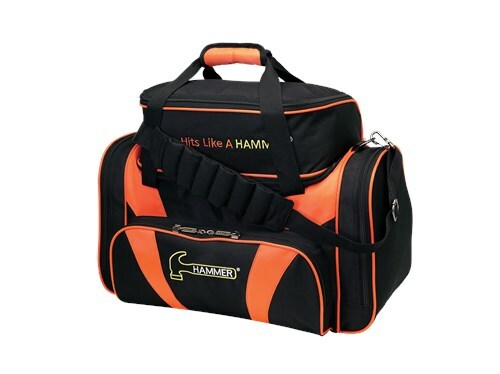 This bag is a regular tote and will not have any wheels. Are there ball cups in the bag already or is that a separate purchase? There will be padded foam ball cups on the inside. Due to the time it takes to produce the Hammer Deluxe Double Tote Black/Orange ball it will ship in immediately. We cannot ship this ball outside the United States.